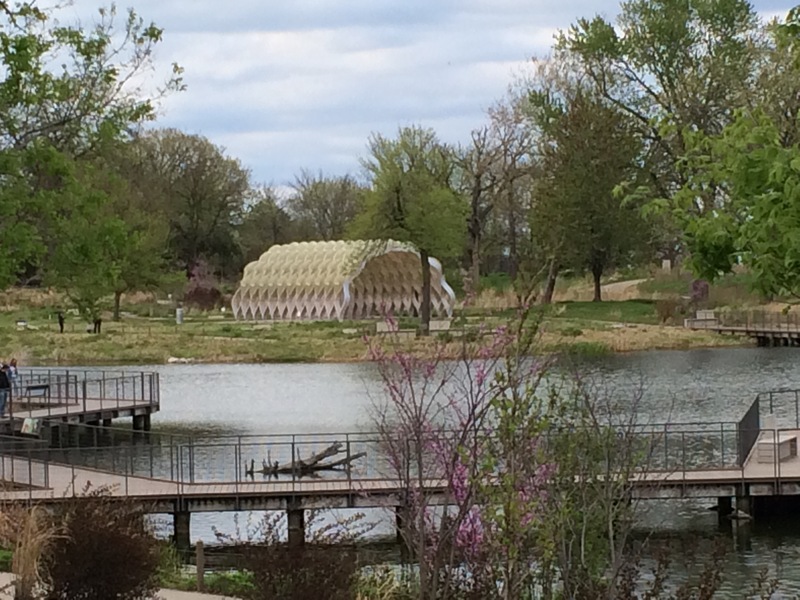 It was in Chicago in the spring of 2015 standing under the pavilion pictured above on a cool, spring morning, when my former student and friend, Kevin, told me that this was going to be the site of his wedding in July of 2016. It was my second trip to Chicago since my retirement and we always made a point of spending some time together enjoying the town’s breweries, restaurants and, always, a game at Wrigley. We admired the view and imagined how great a day it would be for him, when he suddenly asked if I’d be willing to do a “reading” at the wedding. First of all, I have NEVER been in someone’s wedding. Never. Not a best man, not a groomsman, not a ring bearer. I honestly thought that Kevin was just being polite to his former English teacher and that he’d eventually realize his mistake and find a way to graceful withdraw the offer and bestow the responsibility on a close friend or family member. So, I promptly quit thinking about it although I had been truly touched by the gesture. But then, months later, he followed up with an email to check and make sure I was still planning to come to the wedding, do the reading, and participate in all the pre- and post- wedding festivities. Then it hit me that I was actually going to have come up with something poignant, meaningful, and hopefully not generic because I had really grown quite fond of Kevin and his fiancé, Elizabeth. One quick look through my favorite book of poetry convinced me that I could not recycle some old love poem without it turning into an English lecture and a boring list of conventional wedding wisdom. They were a vibrant, modern couple, and I wanted to give them something more original. I started to envision a mash-up of poetry and song lyrics and somehow weave them into sort of a cool, spoken-word, hip-hop kind of a rhythmic poem that wouldn’t just be read but would need to be performed. The fact that I have never done anything remotely like this, or that I never actually listen to this kind of poetry/music and wasn’t likely to start, did not seem to intimidate me even though “fear of failure” is pretty high up on my list of personality traits. I watched the weeks begin to click by and began to work on the poem exactly one month before I would have to present it. I jotted down pages of lyrics of love songs that I thought might fit and at times would find myself dashing into my study to jot down a fragment of a line or two that had come to me while I was driving or in the shower. It was constantly on my mind. I would fall in love with a lyric or a line or a concept that I would come up with and find myself trying to shoehorn it into the poem convincing myself that it really did work. The editing was excruciating as time and time again, I had to jettison my favorite parts because they simply did not work with the whole, and in fact, I watched it get better and better as I let go of unwieldy pieces and smoothed the edges of others. The more I worked on it I was pretty sure it was starting to sound more like Dr. Seuss than Dr. Dre. I came up with the title, “The Road to Yes”, from an experience with my wife where we noticed that when things were going well that we could quickly get to “yes”–a consensus, an agreement, a compromise. I did not mean for it to imply that good couples always agree with each other. It has always seemed to me that if couples always agree, one or both of them are just not paying attention. Rather, I wanted to say that a couple is likely to be happy and successful if they both assume that agreement or consensus or compromise is always inevitable at times of conflict. But there really is something I like about you. Just to arrive at a place called Potbelly. how they are not the same. that our friends will share today. and brought us to this very moment. we surround you both with our love today. Note: The poem had different stanzas and line breaks, but WordPress tends to toss them all out no matter what I’ve tried so far.